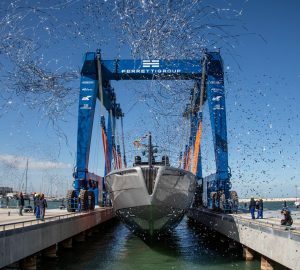 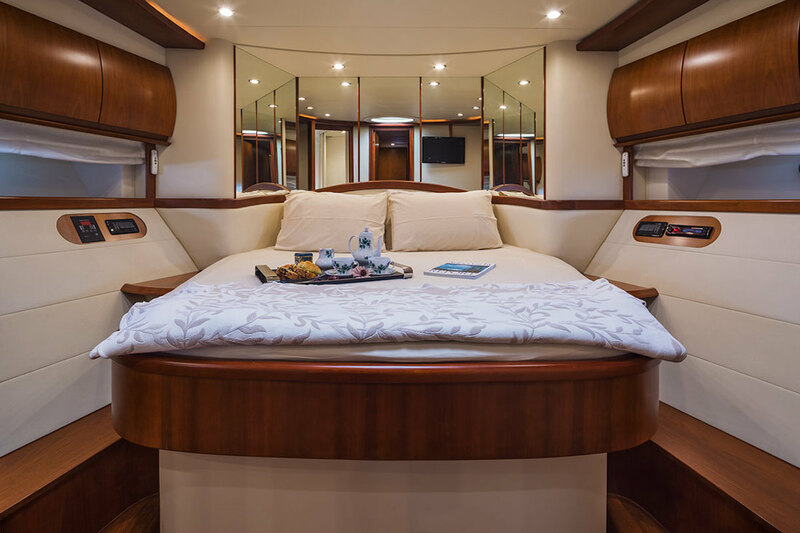 20m/65ft open yacht SIN was built by internationally renowned shipyard Pershing in 2002 and received an update to her onboard systems and furnishings in 2018. 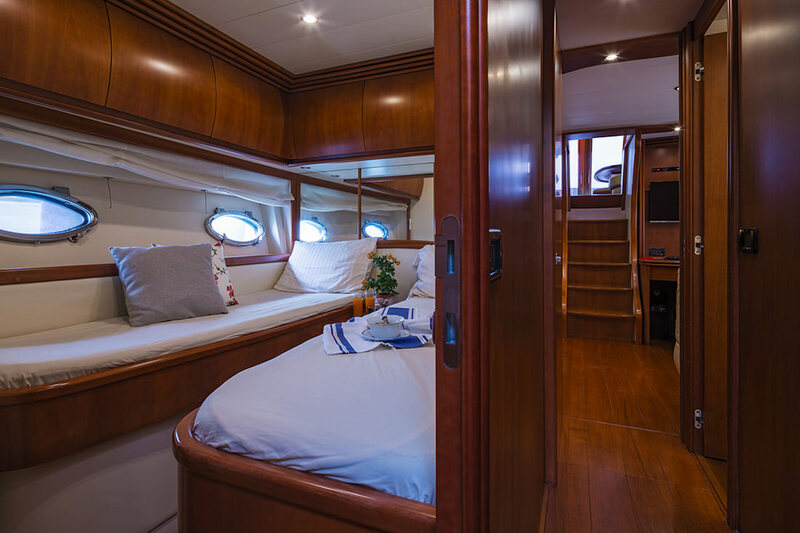 Warm wooden panelling against cream and white coloured furnishings form a timeless environment for up to six guests to relax in and socialise, with three cabins for a restful night's sleep. 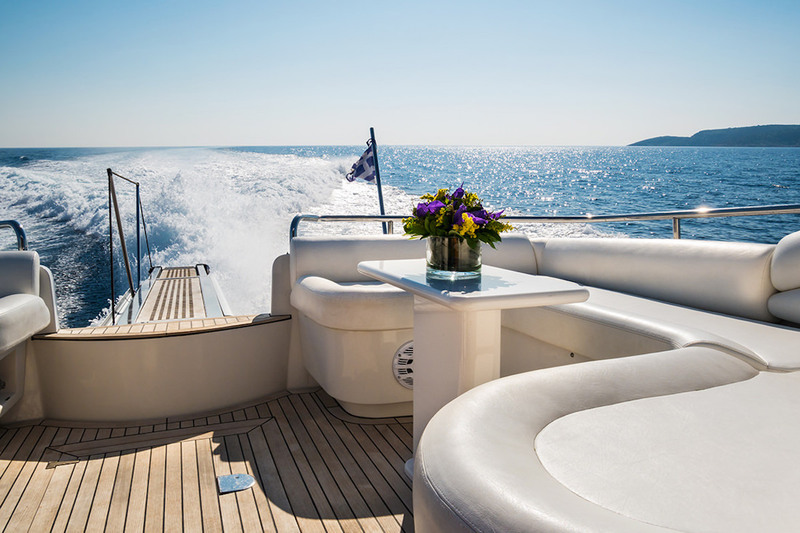 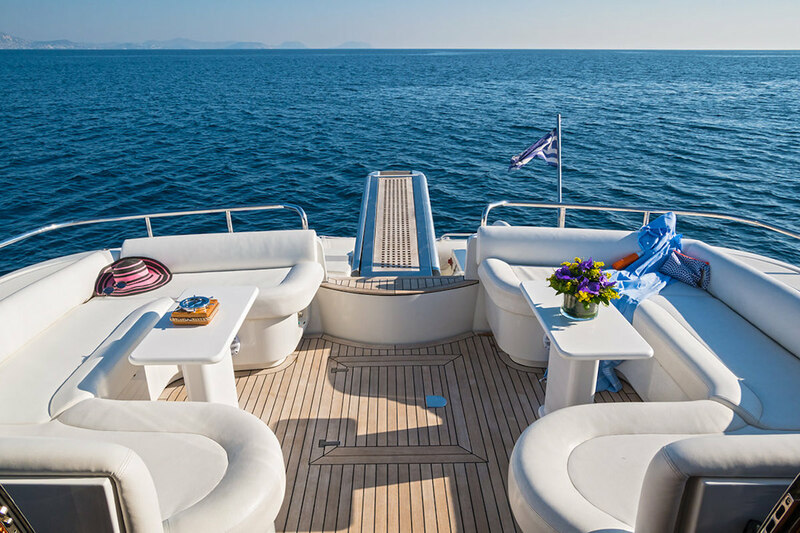 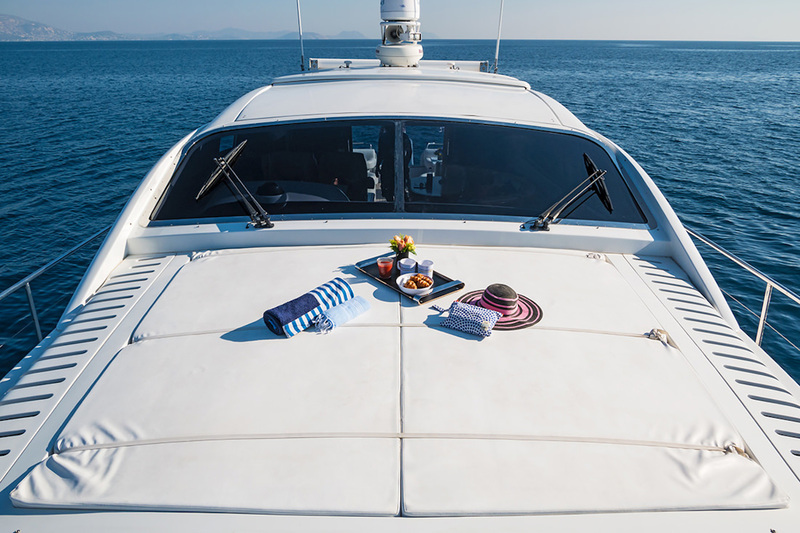 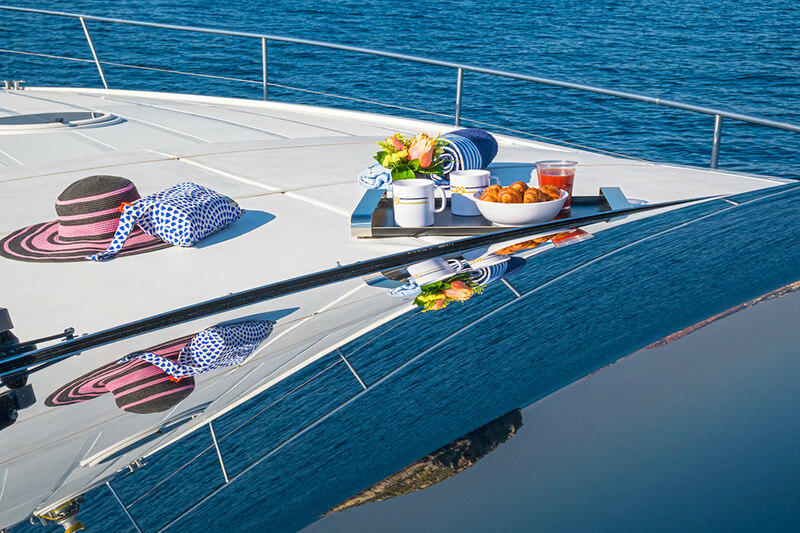 Sunbathers in the group have the option of spreading out on the stern C-shaped sofas with drinks tables for quick access to refreshments or spreading out on the foredeck sun pads with uninterrupted views out across the bow. 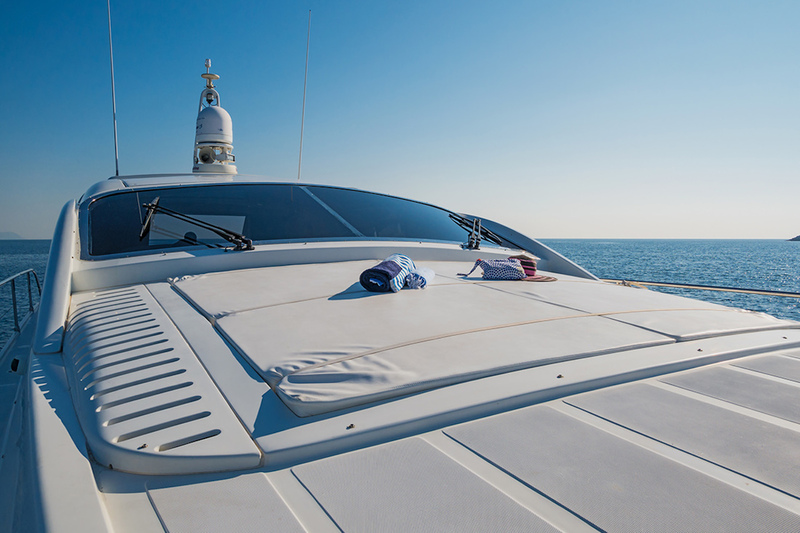 A gangplank allows guests easy access in and out of the water and can be raised for security while in transit. 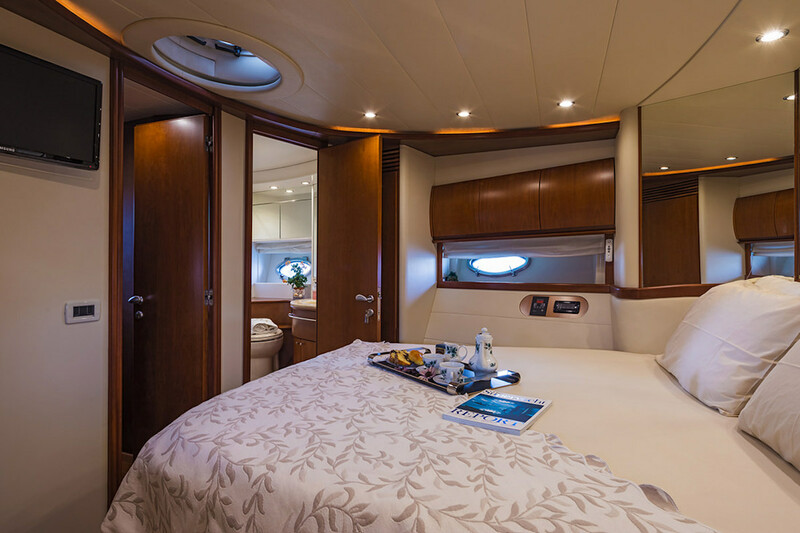 The lower deck contains the tender garage in the stern, the crew accommodation in the bow and the guest accommodation amidships, consisting of a Master suite, a double cabin and a twin cabin each with its own bathroom. 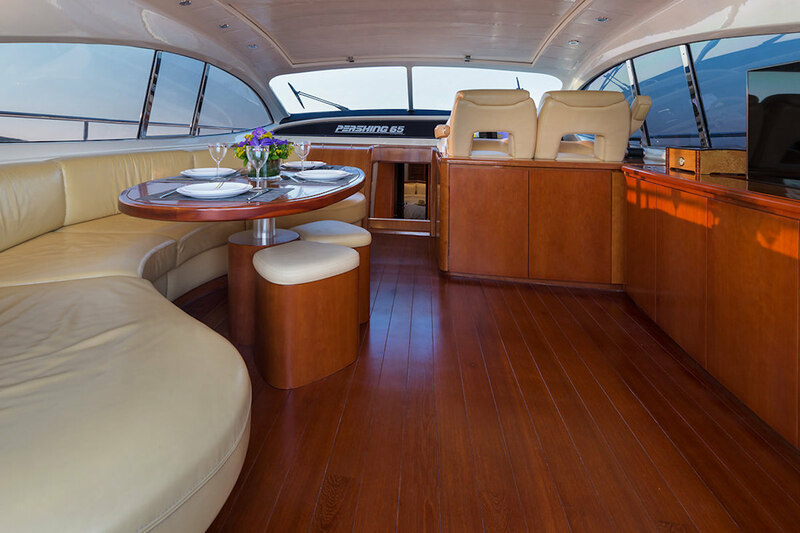 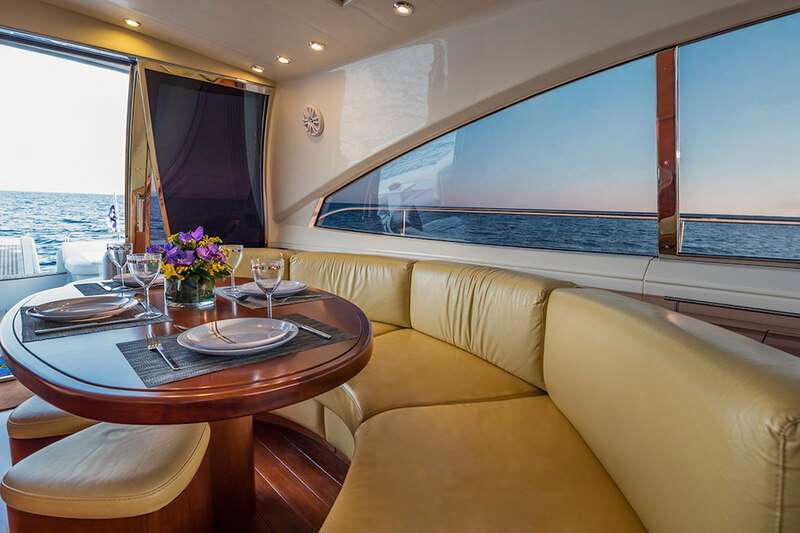 On the main deck, the classic interior provides guests with a plush curving sofa around an oval dining table. 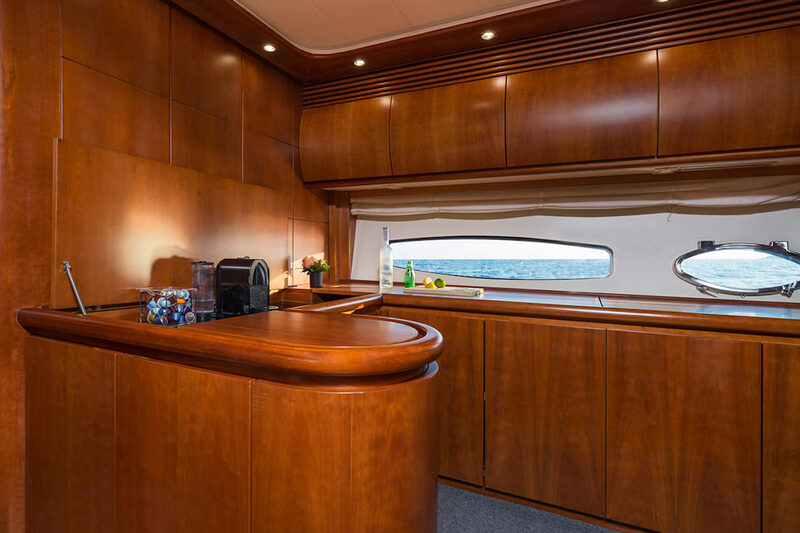 To the aft, the bar has a great selection of drinks to complement any meal. 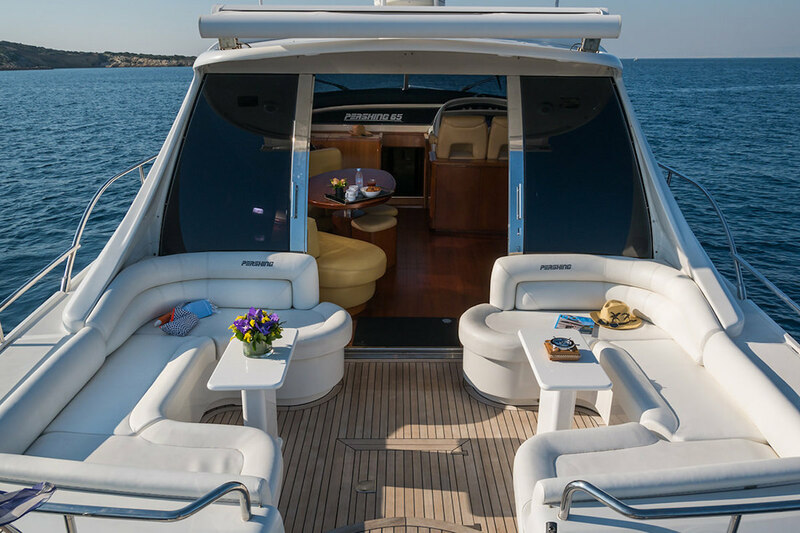 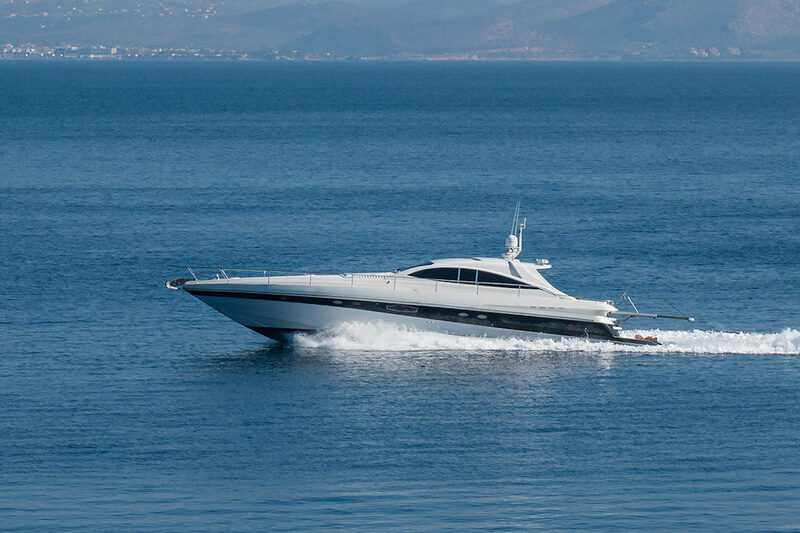 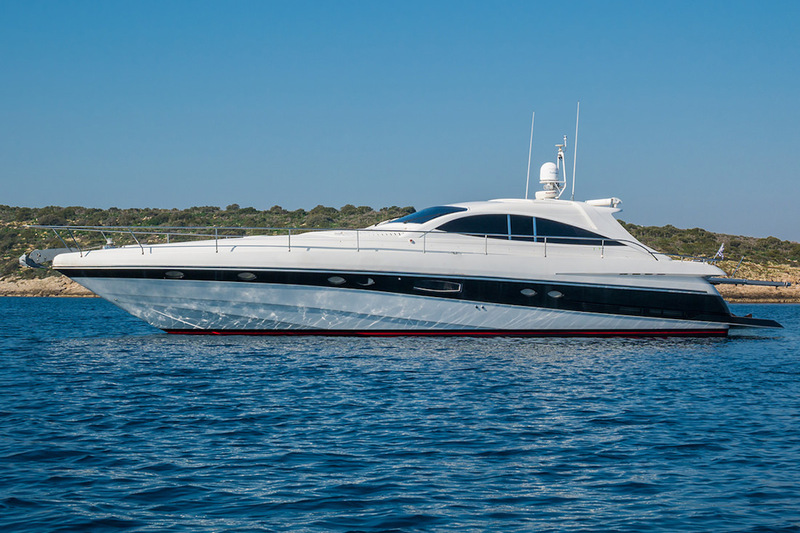 Twin 1550 HP Caterpillar C30 engines produce a cruising speed of 31 knots and an impressive top speed of 42 knots for spending less time in transit and more spent at your preferred destinations. 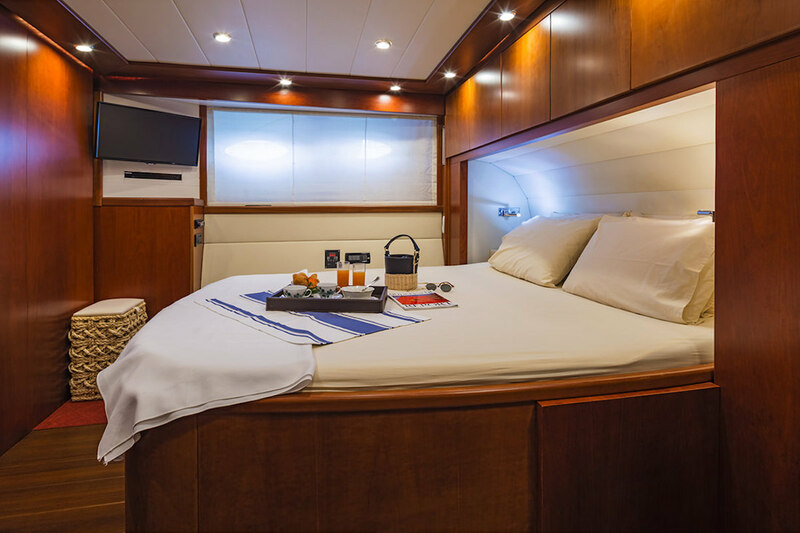 The accommodation will sleep a maximum of 6 guests over 3 en-suite cabins: 1 Master suite, 1 double cabin and 1 twin cabin. 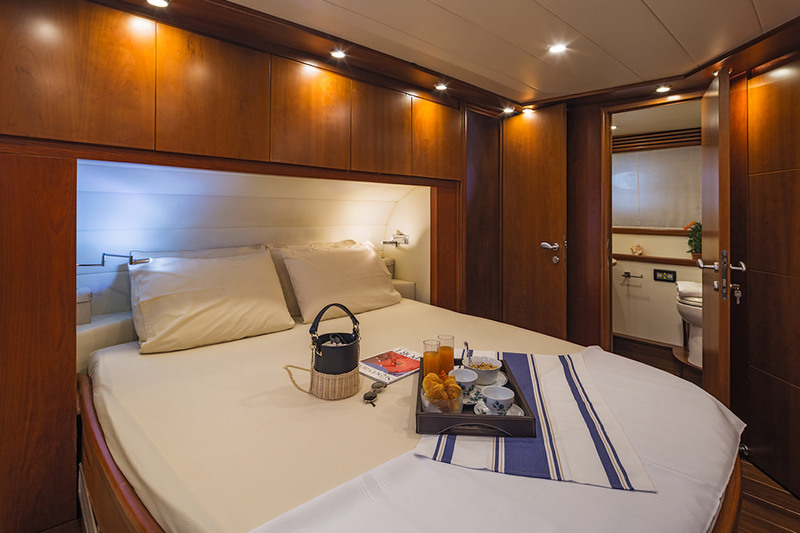 The crew of 2 will provide everything guests require for a relaxing and fun-filled journey.